Lance Booth - lbooth@shawmedia.com A wrestler waits in the entrance at the IHSA Individual State Wrestling Tournament during the consolation round at University of Illinois in Urbana-Champaign on Saturday, February 18, 2012. 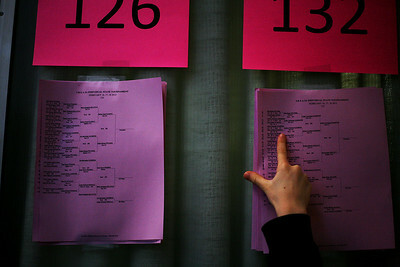 Lance Booth - lbooth@shawmedia.com Payton Murphy, 10, of Carol Stream points results at the IHSA Individual State Wrestling Tournament at University of Illinois in Urbana-Champaign on Saturday, February 18, 2012. Lance Booth - lbooth@shawmedia.com St. Charles's North Tim Noverini hugs his coach Gary Conrad at the IHSA 3A Individual State Wrestling Tournament during the fifth place round at University of Illinois in Urbana-Champaign on Saturday, February 18, 2012. Noverini placed 5th in the 152 weight class with a 3:17 fall against Marist's Peter Andreotti. 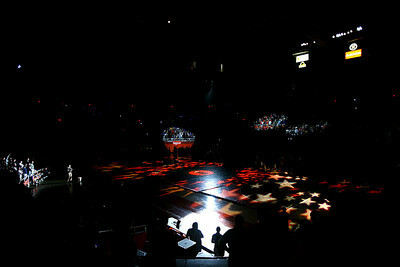 Lance Booth - lbooth@shawmedia.com Wrestlers walk in the Grand March at the IHSA Individual State Wrestling Tournament before the championship round at University of Illinois in Urbana-Champaign on Saturday, February 18, 2012. 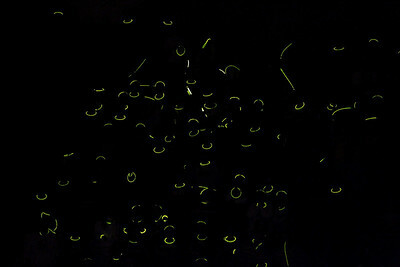 Lance Booth - lbooth@shawmedia.com Friends and family play with glow sticks during Grand March at the IHSA Individual State Wrestling Tournament before the championship round at University of Illinois in Urbana-Champaign on Saturday, February 18, 2012.
lbooth@shawmedia.com - Lance Booth Crystal Lake Central's Jason Fugiel wrestles against Sycamore's Austin Culton at the ISHA 2A Individual State Wrestling Tournament during the semi-final round at University of Illinois in Urbana-Champaign on Friday, February 17, 2012. Fugiel lost the 152 weight class with a 4-7 decision. lbooth@shawmedia.com - Lance Booth Richmond's Jack Dechow wrestles against Montini's Jake Turk at the ISHA 2A Individual State Wrestling Tournament during the semi-final round at University of Illinois in Urbana-Champaign on Friday, February 17, 2012. Dechow won the 182 weight class with a 23-8 technical fall in 4:16. Lance Booth - lbooth@shawmedia.com Harvard's Don Stott, left, wrestles against Herrin's Drake Holland at the IHSA 1A Individual State Wrestling Tournament during the championship round at University of Illinois in Urbana-Champaign on Saturday, February 18, 2012. Stott won with a fall at 8:15 in overtime in the 170 weight class. 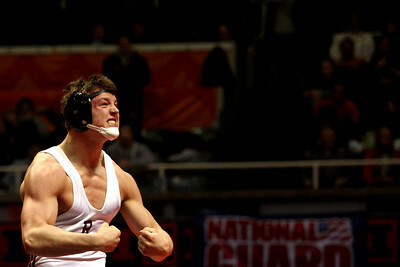 Lance Booth - lbooth@shawmedia.com Richmond's Jack Dechow celebrates after winning the IHSA 2A Individual State Wrestling Tournament 182 weight class championship at University of Illinois in Urbana-Champaign on Saturday, February 18, 2012. Dechow won against Bloomington's Stephen Rudicil with a fall at 1:53. Lance Booth - lbooth@shawmedia.com Crystal Lake Central's Gage Harrah wrestles against Grayslake Central's Joey Valdivia at the IHSA 2A Individual State Wrestling Tournament during the championship round at University of Illinois in Urbana-Champaign on Saturday, February 18, 2012. Harrah won the championship in the 195 weight class with a 6-2 decision. Lance Booth - lbooth@shawmedia.com Sycamore's Austin Culton wins the 152 weight class champsionship in the IHSA 2A Individual State Wrestling Tournament at University of Illinois in Urbana-Champaign on Saturday, February 18, 2012. Colton won against Lemont's Jake Kaminsky with a 2-1 decision. Lance Booth - lbooth@shawmedia.com Richmond's Jack Dechow, top, wrestles against Bloomington's Stephen Rudicil at the IHSA 2A Individual State Wrestling Tournament during the championship round at University of Illinois in Urbana-Champaign on Saturday, February 18, 2012. Dechow won the 182 weight class with a fall at 1:53. Lance Booth - lbooth@shawmedia.com Minook'as Jake Residori, right, wrestles against Sandburg's Ricky Robertson at the IHSA 1A Individual State Wrestling Tournament during the championship round at University of Illinois in Urbana-Champaign on Saturday, February 18, 2012. Residori won the 170 weight class championship with a decision of 7-3. 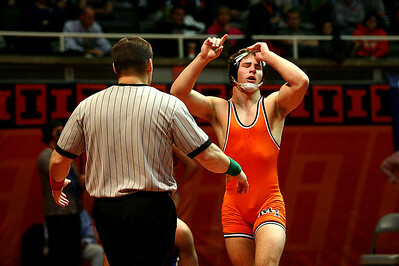 Lance Booth - lbooth@shawmedia.com Minook'as Jake Residori celebrates after winning teh 170 weight class championship at the IHSA 1A Individual State Wrestling Tournament during the championship round at University of Illinois in Urbana-Champaign on Saturday, February 18, 2012. Residori won against against Sandburg's Ricky Robertson with a decision of 7-3. Lance Booth - lbooth@shawmedia.com Marmion's Johnny Jimenez celebrates after winning the 113 weight class championship at the IHSA 1A Individual State Wrestling Tournament at University of Illinois in Urbana-Champaign on Saturday, February 18, 2012. Jimenez defeated Rock Island's Barlow McGhee with a decision of 4-2. 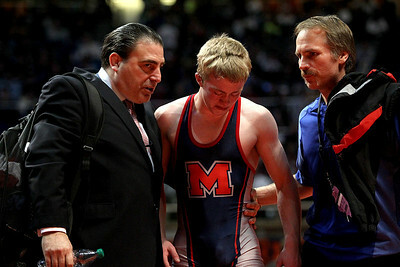 Lance Booth - lbooth@shawmedia.com Marmion's George Fisher, center, gets support from coaches Joe Silvestro, left and Dean Branstetter after losing the 126 weight class 2A Individual State Wrestling Tournament at University of Illinois in Urbana-Champaign on Saturday, February 18, 2012. Fisher lost the 126 weight class championship against Civic Memorial's David Pearce with a decision of 3-6. Lance Booth - lbooth@shawmedia.com Marmion's Angelo Silvestro celebrates with his father Joe Silvestro after winning the 138 weight class championship at the IHSA 2A Individual State Wrestling Tournament at University of Illinois in Urbana-Champaign on Saturday, February 18, 2012. 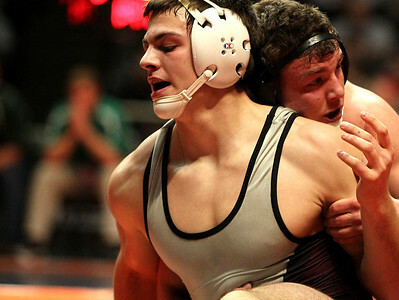 Silvestro defeated Crystal Lake Central's Clayton Lutzow with a decision of 7-3. Richmond's Jack Dechow, top, wrestles against Bloomington's Stephen Rudicil at the IHSA 2A Individual State Wrestling Tournament during the championship round at University of Illinois in Urbana-Champaign on Saturday, February 18, 2012. Dechow won the 182 weight class with a fall at 1:53.